Conducting an Office Risk Assessment from Forward into Health – A workplace guide to health and safety regulations and staying fit on the job. Conducting an office risk assessment is a vital stage in ensuring employers are meeting their legal requirements and protecting their employees as best they can. A risk assessment is an analysis of a work place, with the objective of identifying what could be potential causes of accidents. This could be anything from electrical equipment, a ladder or a low doorway. This risk assessment can then be used to ensure correct precautions are in place. 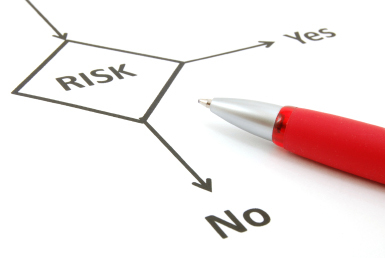 The head of the organisation is liable for ensuring a risk assessment is carried out. Unfortunately, eliminating all risk is impossible and so the legal requirement simply states employers should protect employees as reasonably practical. Employees have a right to conduct their work within a safe environment and to be protected from avoidable incidents by employers taking appropriate measures. Equally, business productivity can suffer if employees are off work or machinery is damaged. For this reason, an employer can see a risk assessment as an investment, not just a legal requirement. For smaller organisations, it is quite usual for a self-assessment to be carried out. For larger organisations, employing a health and safety adviser for the task, may be a more time efficient and overall effective approach. There are around 4 steps involved in carrying out a risk assessment. The first step to the risk assessment is identifying what could be the causes of accidents or incidents. Obvious hazards such as dangerous equipment or machinery may be simple to identify. However, there are often many hazards in day to day working that are overlooked, such as cupboard doors or minor electrical equipment. A useful approach to not missing these hazards is walking slowly around the workplace looking at everything. Additionally, talking to other workers and asking for their input. Whilst doing this, it is worth noting who may be affected by highlighted hazards - this will help decide how best to manage the risks. The second step is an evaluation of the risks and to decide the preventive steps to help deal with them, i.e. remove unnecessary hazards to reduce the risk or ensure signs are in place to remind people of a danger. As mentioned, employers are legally responsible for taking reasonably practical measures to deal with risk. There are sources to help decide what this is, one of the best being the UK Health & Safety website - www.hse.gov.uk. The third step is to create the report and actually implement the risk management steps that were decided on. Sharing the report with employees will also make a difference as it highlights what the risks are and how they are being managed. Keeping everyone within the workplace updated and in the loop will heighten awareness of any hazards and reduce the likelihood of accidents. The fourth step is to not forget about the risk assessment. As time goes on, new hazards will most likely reach the workplace, through expansion or new equipment. It is recommended that a review is carried out annually to highlight any changes in the workplace and ensure nothing was missed - employees may have noticed a new hazard over the 12 months. Reviewing the assessment will not only cover employers legally, it will also reduce the chance of any accident occurring when it could have been prevented, resulting in a negative impact on the business. It will also enforce good feeling within the workforce with them knowing that their safety and health is being considered by the organisation.